Far more urgent, she says, is the need to reduce the numbers of cows and sheep that are displacing most of the other animals, and to prevent the huge wildfires we humans are causing since loss of vegetation cover through fire and grazing exposes small mammals to cat predation and compounds the effects of the felines. 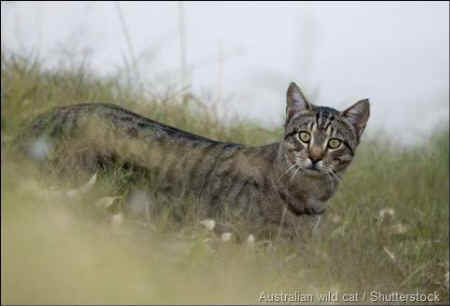 The Australian government has announced a new plan to protect wildlife by killing two million feral cats by the year 2020. The plan calls for baiting, shooting and poisoning the cats, along with setting up "safe havens" for dozens of the most at-risk kinds of mammal, bird and plant species. "Over 120 [kinds of] Australian animals are at risk of extinction from feral cats," Gregory Andrews, Australia's first threatened-species commissioner, explained, adding that although "we don't hate cats," we must declare "war" on them. Will killing the cats actually save these other animals? Many mainstream conservation groups say yes, but some of the most knowledgeable wildlife experts say it can only make the situation worse. Here's why. There are currently roughly 20 million feral cats (the offspring of house cats who were brought to Australia by Europeans) roaming the continent. But these are not feral in the same way as your typical urban colony, whose numbers can be reduced through spay/neuter programs. Rather, they are by now truly wildlife, living deep in the deserts and forests, having had no contact with humans for tens of generations. Commissioner Andrews says that "the scientific evidence is crystal clear that [the cats] are the biggest threat." But he seems to be ignoring the single most invasive species of all, the one that's the biggest threat to endangered wildlife and is bringing on an even greater extinction: humans. Already 29 mammal species have gone extinct since Europeans arrived on the continent, and this latest plan is only going to make the situation worse. Very simply, killing more animals doesn't save more animals. So, when everything you're already doing is leading to the death and extinction of more species, it's surely time to try something different. Something perhaps that doesn't involve more killing. Since most of our interventions have ended up making things worse, the most knowledgeable biologists are telling us that the best thing, the only thing, we can do now to protect endangered animals is to leave the wildlife alone. All of it. And the animals who need to be left alone most of all are Australia's apex predators, the dingoes. Australians have been making war on dingoes the way Americans make war on wolves and coyotes. And the end result is a massive disruption of the ecosystem. 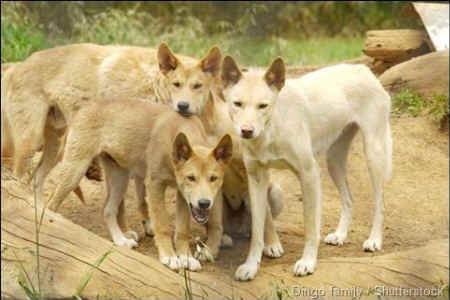 Dr. Mike Letnic of the Center for Ecosystem Science at the University of New South Wales is the lead author of a study that concludes that when you remove the dingoes, you simply leave the region wide open to other predators like cats and foxes. "If we want to halt the loss of mammal biodiversity in Australia, we need to ... maintain the balance of nature by keeping dingoes in the bush," he says. Professor Arian Wallach of Charles Darwin University agrees. The dingo is Australia's apex predator, and so the primary key to protecting wildlife and reducing the danger from cats is to protect the dingo. Waging war on predators, whether dingoes, cats, foxes or anyone else, is entirely the wrong strategy. 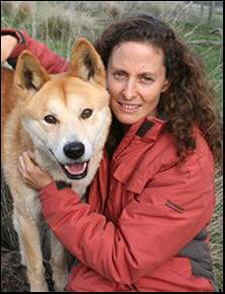 Dr. Wallach argues that where there are dingoes, cats hunt less, breed less, and avoid areas frequented by these canines. She also explains that wild animals are not stupid and can adapt to new threats much faster than humans give them credit for. Life is remarkably adaptable. For example, some native snakes have undergone rapid adaptation to cane toads, reducing the size of their mouths ... so that they are now able to tolerate the amount of toxin ingested. Several native birds have learned how to hunt cane toads successfully by [flipping them over, thus] avoiding the toxic glands and eating the rest. And yet others simply learn to avoid them. These extraordinary examples of rapid evolution have resulted in the recovery of native predator populations from initial declines. [By contrast], human efforts to control toads have not been helpful. Efforts to control cats have been equally unsuccessful. In one particularly instructive example, a cat eradication program that was tried on Macquarie Island, an isolated environment, backfired badly. Once the cats were removed, the rabbit population exploded, causing large-scale vegetation loss and erosion and further wrecking the island's ecosystem. Let's embrace cats as part of Australia’s environment. We could even rename them 'Australian wildcats'. Killing cats, even two million of them, can inadvertently increase cat numbers by enabling more cats to immigrate into vacant territories. Conversely, cat eradication can cause population booms of other species (such as rabbits and rats) and result in further harm. Ecosystems are notoriously, and wonderfully, complex things. They are comprised of dense networks of interactions that bind the fate of species to one another. Cats have become deeply entangled in this web of life. Attempting to remove cats from Australian ecosystems will not be a clean and painless surgery, and it will not heal the patient. The more we interfere, the harder it becomes for ecosystems and their animals to adapt. Even nonlethal attempts to protect endangered species, like putting them in protected areas, just cause more trouble since the animals have no chance to interact with the new arrivals who pose a threat to them, and thus never learn to adapt. Ultimately, the only consistent outcome of killing cats is more dead cats. And the same goes for dingoes and foxes. Instead of more grand plans to interfere, especially those that involve yet more killing, what's needed is a dose of humility and a recognition that wherever we go, we humans just cause more destruction. However hurtful it may be to our self-esteem, the only hope for Australia's wildlife is for us to get ourselves and our farmed animals out of their way and let the other animals adapt as best they can to the wretched situation we've created for them.